Louisville has so much to offer, including Churchill Downs and the Kentucky Derby, Fourth Street Live, Louisville City Soccer, The Muhammad Ali Center, and the Louisville Slugger Museum! This city is continuously growing, and I can guarantee you will find that there is something for everyone in this amazing ‘Big, Small Town’ of ours! You can keep up to date with the latest happenings in Louisville on our ‘Calendar of Events’ page! With regard to your moving, we would love to be your realtor of choice! Here’s why: My wife Meg and I were once relocating from Chicago over 10 years ago. We were not happy with the service and style of our agent, so we bought a ‘For Sale By Owner’ home. Since then, we’ve learned a lot about the real estate business and why it is extremely important to use an agent. Meg and I decided that we wanted to make a difference in homebuyers’ lives and wanted to provide the high quality service we know is important, so we became real estate agents for Keller Williams Louisville East! We created Team Panella, a team of two, and have grown to include four additional members! We’ve lived in Louisville for about 15 years now and we have four kids, a pup, and many friends and family. Here at Team Panella, we want to make your move to Louisville an easy, stress-free transition. Given that we were once in your shoes, we know the tips and tricks of moving to a new city and want to share our knowledge and experience with you. 1. You want communication. Call us anytime and we can help. We also have an assistant, Whitney Frantz that backs us up. Texting, e-mailing, cell phones, and faxes are all ways you will be communicating with us. 2. You want full service. From showing homes to a moving truck; we will perform and provide outstanding service, making You the focus of our success. 3. You want knowledge. We are constantly learning new trends, technology, and ideas that will help our clients throughout the buying OR selling process. We look forward to speaking with you and helping out with your housing needs in Louisville. Please let us know if you plan on a visit sometime soon, even if it’s for a short weekend. We can meet to discuss the city and possibly a tour if time permits. 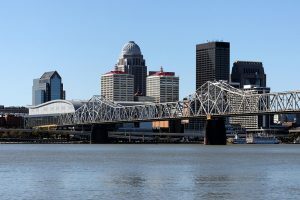 In the meantime, take a look at our website at www.LouisvilleHouseHunter.com for more community links, home search, & more. You can also find us on Facebook, Twitter, and Instagram!